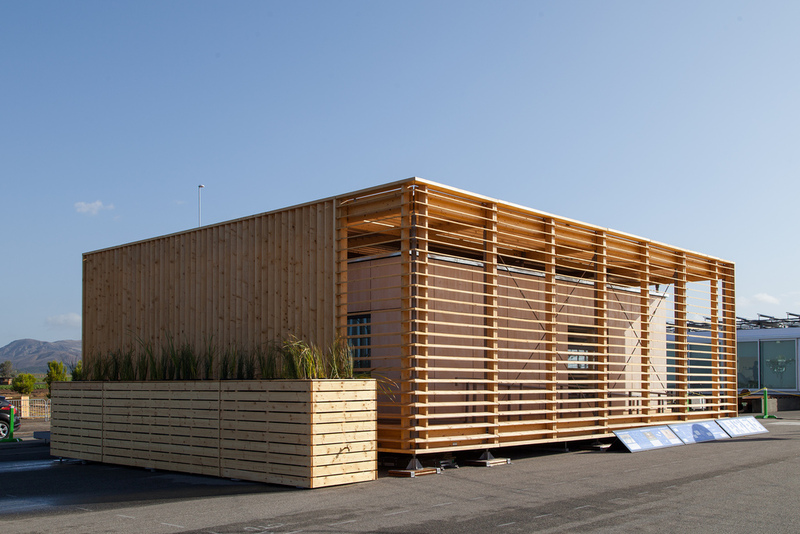 Czech Technical University’s AIR House placed third overall at the U.S. Department of Energy Solar Decathlon 2013. The team took first place for Architecture and second for Engineering, and tied for third in the Market Appeal contest. After the Solar Decathlon, the AIR House returned to the Czech Technical University campus, where it served for one year as an information and education center. As of 2017, it is being used for research purposes at the University’s Center for Energy Efficient Buildings. The house has continued to receive recognition after competing in the Solar Decathlon. AIR House was selected as the winner for the Youth Category at the 2014 Ecological Oscars in Prague. In 2015, the House was nominated for a peer-based, crowdsourced ArchDaily Building of the Year award. The project won Architecture and Building Foundation special awards, as well as a Public Award.